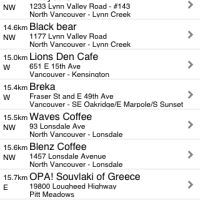 Today I have an app for all of you out there that try to find free WiFi (Wireless Internet) hot spots. This app will be extremely useful to those of you that do not have data on your iPhone plans but also to those that do! This application is fantastic. I downloaded it, turned it on and found 40 WiFi hot spots. I did this in about 15 seconds. Amazing. Free WiFi Cafe Spots does exactly what its name says; if finds you free WiFi. The user interface couldn’t be easier to use! 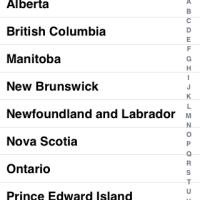 You turn on the app, allow the app to know your location and then tap search beside the “current location” dialogue. Within 2 seconds, you will have a list of WiFi Spots. My list had over atleast 50 but only about 40 of them were truly local to me. So after the list of WiFi spots is generated, choose your WiFi spot and you get additional information about the location such as the address, phone number, hours, and the amenities such as the signal strength, power outlet access, and the overall experience. The great part about this is that all of the above information is gathered via user feedback. Each location has a “confirm” button if everything is correct or an “edit” button if you want to add something. 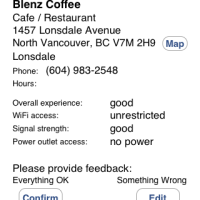 You may even add your own WiFi Cafe Spot if know of one that is not listed in the app. However, there are multiple methods of searching as well. 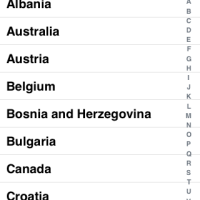 Aside from the iPhone knowing your location method, you can search by Postal Code or by City and all of the data is stored locally on the iPhone, so you do not even need internet access to get the WiFi information you need! The application has over 14,000 WiFi spots across Canada, Europe, and the USA, but because we are Canadian, we will focus on that. Within Canada, there are over 300 documented WiFi spots, 90 of which are located in the best city in Canada, Vancouver (hehe, win). The other spots are located across Montreal and Toronto. I really like the user interface of this application. It is so simple and well done and makes the application so easy to use. The other great thing, as I mentioned previously, is all of the WiFi data on the app is stored on the iPhone, so even if you do not have a data plan or WiFi near you, you can STILL use the app to find nearby WiFi spots. I love it. I highly recommend this application to everyone who does not have a data plan on their iPhone. Finding local WiFi when you really need it is priceless and a great convenience. 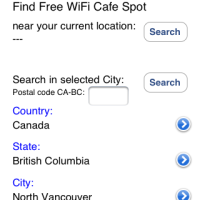 Check out Free WiFi Cafe Spots in the AppStore for $2.99. 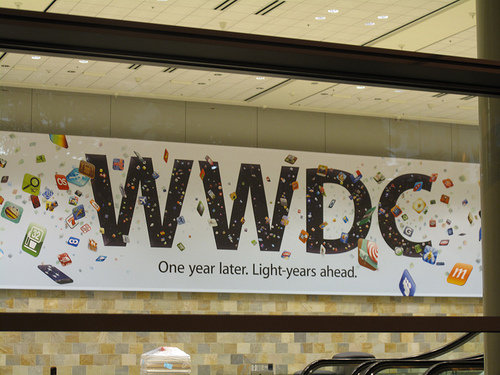 Apple WWDC 2009 Banners Now Up, App Store Focus?